Stephen King is brilliant, but he’s also sometimes wrong. For years, the prolific horror author has asserted that Stanley Kubrick’s 1980 adaptation of The Shining is not just a bad adaptation but also a bad movie, “a Cadillac with no engine in it” that “you can’t do anything with… except admire it as sculpture.” That’s why King statements like this aren’t to be trusted (though It does look pretty badass). The existence of Rodney Ascher’s 2012 documentary Room 237 is enough to dispute King’s latter critique, as is the continued level of interest and scholarship that surrounds the movie to this day. Take, for example, the proof of a scrapped conclusion that Kottke recently posted. Pages from the original script with the deleted scene were released by The Overlook Hotel, as were three continuity Polaroids from the filming of the scene. 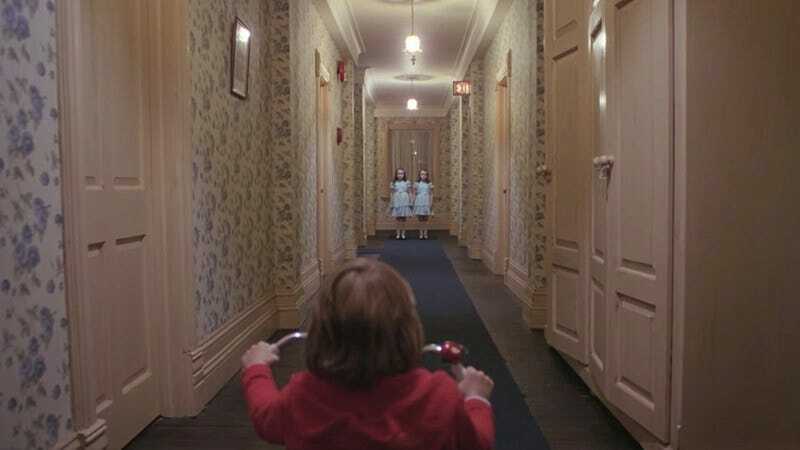 The scene was initially included in the U.S. opening, but Kubrick had it removed shortly after the premiere, and all known copies were reportedly destroyed. Kubrick’s been built up as such a mad artistic genius over the years that it’s actually kind of sweet to hear of his affection for the characters (though we wish he’d had the same affection for Shelly Duvall).